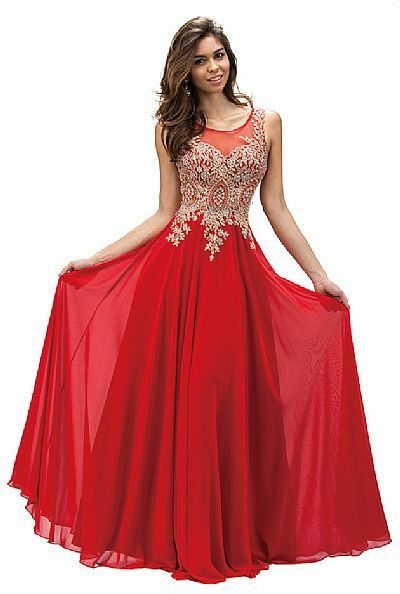 Metallic Lace Sheer Illusion Bodice Long Formal Prom Gown. Delicate bejeweled brocade lace on sheer mesh bodice forms a feminine sweetheart neckline and cascades softly onto the waistline. Elegant sheer back with intricate detailing & side zipper closure. Gathered chiffon skirt on this 60" long dress with bra cups too. Imported.